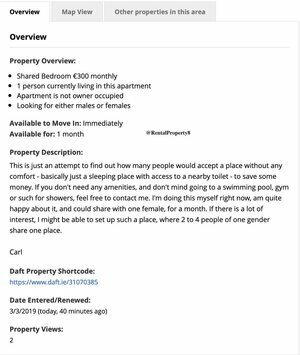 What’s Carl Dombrowski offering ‘a female’ near Ossory Ind. Estate? “A place without comfort – just sleeping place with access to nearby toilet – If you don’t mind going to pool, gym for showers”. Sees himself as a slumlord. 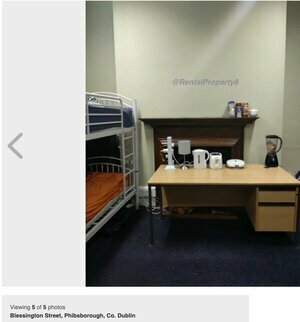 Posted in Misc and tagged Daft.ie, Dublin Rental Investigator at 1:47 pm on March 4, 2019 by Bodger. 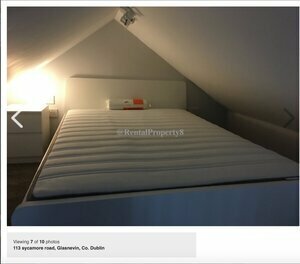 How much did Daft.ie get for listing that advertisement? 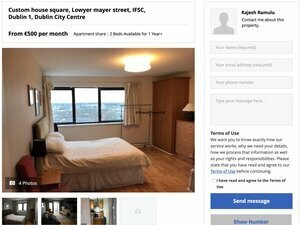 Remind us how much profit Daft.ie made last year from its property listings business. 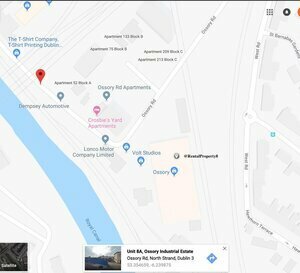 I used to go to a gym in Greenhills, and the rest of the industrial units are mechanics or breakers etc. there was a breakers who just break Mercedes cars, and the guys who work there actually lived in the unit. Eastern Europeans. When the gates were locked at night, you would often see the guys jump over with the shopping and cans for the weekend. Does anyone in Daft read these before they’re advertised? Room to share Dublin suburb. You have own bed but I will stare at you when your asleep. I like to play the marching songs of the 7th Panzer Division (Wehrmacht) every night before I go to bed at 2am after my daily ritual of self abuse followed by flagellation. I have nine cats and collect jam jars from foreign supermarkets. No Irish people or men. If you’re 24 and tanned send me a deposit for 6 months rent that I can put towards my Jean Byrne doll. 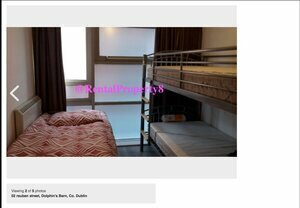 Rent 400, if you’re Jean Byrne or similar 300. I had a neighbour like that on the South Circular. Sign me up to that creepfest. Dark, dark times for some in 21st Century Ireland. Our greatest patriots I’m sure, were dreaming of a success like this 100 years ago. Not even a crying chair. The ‘nearby toilet’ is multi-purpose. this is how lawless the property market is. this random person just openly advertising that he’s guna test run being a slum landlord, and its green lights all the way. for everything i love about ireland, you can never escape the overwhelming greed and selfishness of irish people.